American Legion Riders Post 155 Whippany NJ. The American Legion was chartered and incorporated by Congress in 1919 as a patriotic veterans organization devoted to mutual helpfulness. It is the nation’s largest wartime veterans service organization, committed to mentoring youth and sponsorship of wholesome programs in our communities, advocating patriotism and honor, promoting strong national security, and continued devotion to our fellow service members and veterans. 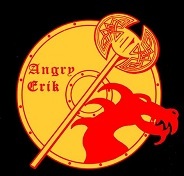 At Angry Erik’s Brewery, we will be offering an ever changing variety of artfully crafted ales including traditional American, & Belgian styles, but also exploring the unknown. Oldest and largest flag manufacturer in the united States. Since 1847. Abraham Lincoln Annin Flagmakers supplied the flag for the inauguration of President Lincoln. Sadly, Annin also furnished the flag that draped his casket as it was taken by train from Washington, D.C. to Illinois for burial after his tragic assassination in 1865. 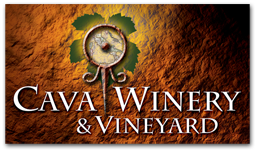 The name Cava in Italian means cave or mine. With Hamburg and the surrounding towns known for their history in mining, the name seemed an appropriate tribute to the blistered hands that achieved the area’s reputation. 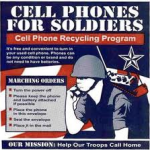 Mission: Help Our Troops Call HomeCell Phones for Soldiers is a non-profit organization dedicated to providing cost-free communication services to active duty military members and veterans. Since 2001, Clayton Off Road has been setting the standards for long-arm suspension kits. In November 2002, we became the first suspension manufacturer to offer long-arm suspensions for all four of the major Jeep® models, TJ, XJ, WJ and ZJ. Dynamic Audio & Video will oversee your home entertainment process from beginning to end. Whether a flat panel TV on a stand, an entry-level surround sound system, distributed audio in and outside your home or a state-of-the-art home theater installation, we will ensure that all of your expectations are met. West Milford Lodge #2236 Elks Lodges bring so much more to their communities than just a building, golf course or pool. They are places where neighbors come together, families share meals, and children grow up.Elks invest in their communities through programs that help children grow up healthy and drug-free, by undertaking projects that address unmet need, and by honoring the service and sacrifice of our veterans. In The World! With over 120 guns to rent From BB guns to 50 caliber handguns! and over 86 exclusive courses to register for, Exclusive firearm, first aid and self defense courses! Your entire family will have a blast! Guaranteed! Hardyston Police Dept. Schedule a tour of the police department, request a child safety seat inspection from a NHTSA certified inspector, request that my child or youth organization participate in a fingerprinting event, contact the police department regarding a community outreach initiative. Founded in 1994, the High Point Brewing Company is the first exclusive wheat beer brewery in America. The name Ramstein was adopted from a town in Germany with a large American population. The town surrounds the U.S. Ramstein Air Force Base. High Point wanted the name of its beers to reflect a marriage of German tradition and American innovation. iShock offers a complete suspension tuning service from trained and certified suspension technicians in a “state of the art” tuning center. If your shocks or forks need love, we are the ones to call. 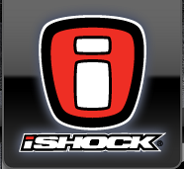 iShock has more then a decade of experience with off-road truck, jeep, SUV, motorcycle, ATV and UTV suspension service and guarantees a one week or less turn around time. Liquid Iron Industries is committed to providing unmatched customer service from initial customer interaction to well after product delivery. Our friendly and knowledgeable staff is always ready to handle any order. Whether it is big or small, in-stock or custom fabricated, LII’s services continually surpass customer expectations. McAfee Ski & Snowboard, is a Vernon, New Jersey based shop that operates just 49 miles Northwest of New York City just south of the renowned Mountain Creek Resort. Since 1968 we have strived to be the areas finest Full Service Ski & Snowboard Shop. McCabe Ambulance Service is dedicated to providing the highest quality of pre hospital care in the industry. At McGuire Chevrolet Cadillac, we value your time. Simply fill out the form below to have one of our friendly staff members contact you. No matter what research you need to make a purchase decision and whether you decide tomorrow or months from now, we will gladly assist you by finding the answers you need. 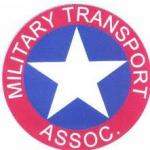 The Military Transport Association (MTA) is a non-profit membership organization for people interested in collecting, restoring, and operating historic military vehicles. Thanks for visiting Mount Zion Offroad! We provide expert mechanical automotive service for your Jeep, truck or 4×4! For the last decade we have provided south central PA with a knowledge base for gear and axle, suspensions, lift kits as well as Jeep and truck accessories. Call or stop by to speak with our experienced staff regarding your Jeep, Truck or 4×4! 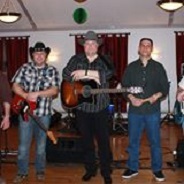 Northeast Of Nashville is a New Jersey-based country band available for fairs, parties and other special occasions. Contact us to play on YOUR special day! Specializing in country music, classic and contemporary. It is our goal at OK4WD to provide you with first-rate customer service, a friendly, knowledgeable sales staff, the finest quality products, and technical help from our well-trained personnel. Let our commitment to excellence and long-term experience with the aftermarket industry assure you – we can meet your automotive needs today and well into the future. Picatinny Arsenal is the Joint Center of Excellence for Armaments and Munitions, providing products and services to all branches of the U.S. military. ProTapes & Specialties has been dedicated to the development and marketing of pressure sensitive tapes for use in a wide range of applications and markets for 35 years. Since starting PRP Seats in the founder’s garage over 17 years ago, PRP Seats has always been made in America. Our staff of over 40 individuals works up to 6 days a week producing custom suspension seating and accessories. 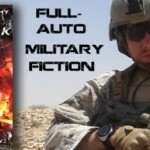 Reflexive Fire – This is the official website for my military action-adventure novel, “Reflexive Fire” and the “PROMIS” series. 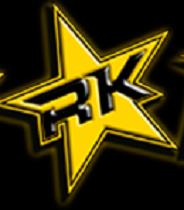 Rock Krawler Suspension is the premier Jeep Suspension Manufacturer. Being a true Made In The U.S.A. company and take pride in all of the components that leave our doors. Thanks for checking out our site, Ruffstuff Off-Road Fabrication has been 10 years in the making! We specialize in Fab Parts and all the offshoots. If you do not see what you are looking for please give us a call, we are ready to help. 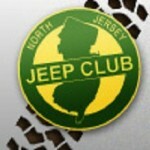 Rugged Ridge develops and sells Jeep parts accessories for the growing Jeep and off road enthusiast market. Rugged Ridge is a division of Omix-ADA, the market-leader for replacement and restoration Jeep parts. With this know-how and experience the Rugged Ridge pedigree is well established in the Jeep market and with the Jeep enthusiast. 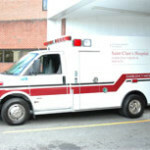 The Emergency Medical Services (EMS) department of Saint Clare’s Health System is committed to providing fast and compassionate emergency care to the people and communities of northwest New Jersey. Who we’re not: We’re not all things to all people. You won’t find air fresheners and bug shields. What you will find are quality 4×4 and off-road products sold by people who know the business, and our products, inside and out. Superwinch’s global manufacturing facilities have grown to design and produce a broad range of winches; from electric 12, 24 and 115 volt planetary gear, right angle gear and worm gear units to hefty hydraulic workhorses. tecHHoma Computer Service provides local, affordable technical help when your kids can’t, or won’t! 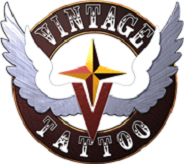 Vintage Tattoo – Newly updated and renovated, the Vintage Shop is comfy, roomy, friendly, stylish and clean. Come by and see for yourself! Lounge, check out our artist books, listen to some tunes. Beth and Ernest Wilson, celebrating in 2016, 21 years of continuing the family tradition of owning drive-in theaters. Warwick Drive-In is a great family owned business as well as a great supporter of WFTWNJ and veterans in general. 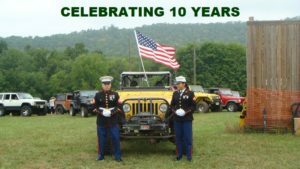 WFTWNJ will hold fundraising events here at least twice a year and want to thank the Wilson’s and their wonderful staff Tom (papa) Sam,Beth,Scott,Ernie,Matt,Janell,Lisa,Al,and Laurey for the fine hospitality they showed us on 18 September at our first Jeep Jam Fundraiser.